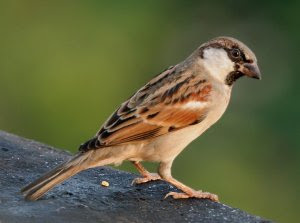 This post is about the little bird sparrow which i don’t get to see now. I don’t see them very often now. Rather i don’t see them at all. I always loved them when i was a child. But now i don’t know where they have gone. Are they angry with us? Wikipedia says varieties of the house sparrow exist but i don’t see them at all. It also describes them as pests. But i lived the bird anyway. They used to eat grains and all. But then we have destroyed homes of many animals and birds. What are we humans to be called? Certainly we are much more than pests. When i was about 10 years old i used to catch a bird. I never succeeded. Also my parents used to say that birds should always be free. But now i feel i should have caught one. At least i could see the bird when i wanted. In kannada they are called as ‘gubbis’. The word is mostly used to describe something which is very cute. And indeed the bird was very cute. I had completely forgotten the bird( as most of us have) but suddenly last summer during my first free holidays after many years i realised that they were not to be seen. When i asked my uncle he was like they died because of the waves used for cellphone communication. Such a pity. We cannot live without our cell phones. And some of us need many of them. So we easily make these birds die. Humans are indeed very selfish. I end this post by hoping that i will see the bird again in near future. And i think development should not hamper the nature. because of this modernisation and development we are going far away from natural beauties.